Ronaldo’s 54 goals, Messi’s 21 assists, Neuer’s 28 clean sheets… Who will come out victorious Tonight? Pepe believes that it would be “a scandal” ifCristiano Ronaldo does not win theBallon d’Or. Xavi says that the Portuguese should not even be in the top three. Dino Zoff claims that Manuel Neuer deserves the accolade but has no chance of winning. Jose Mourinho simply does not care about the trophy, saying it’s “bad for football”. 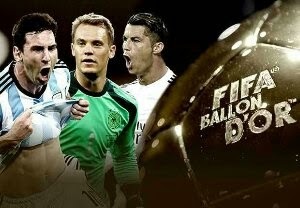 When it comes to the Ballon d’Or, everyone in football has an opinion and an agenda. Consequently, when it comes to such a subjective issue, it is often best to turn to numbers in the search for truth. As already noted, the closing date does Messi no favours whatsoever, as he became the leading goalscorer in both the Champions League and La Liga after the voting ceased. However, as the statistics underline, Messi still had a remarkable yearwith both Barcelona and Argentina. But does the four-time winner deserve to reclaim the Ballon d’Or from Ronaldo, who, after a staggeringly prolific start to the season, now boasts a Primera Division-record average of 1.13 goals per game? And what of Neuer and his heroics during Germany’s triumphant World Cup campaign? Should he not be recognised for the greatest demonstration to date of the way in which this ‘sweeper-keeper’ has revolutionised the role?